The World Science Foundation (WSF) announced the launch of World Science Scholars (WSS), a groundbreaking new initiative created to nurture the next generation of students who have demonstrated extraordinary mathematical talent and help them use their exceptional skills to change the world. The program will begin this fall. WSS is made possible through the generous support of a grant from the John Templeton Foundation. 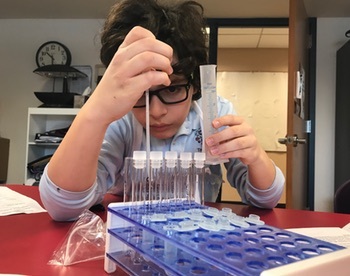 Joseph Stocke of Exton has been selected to join a small group of 45 high school students from around the world that have now been named World Science Scholars. He is a student at The Grayson School in Broomall. They were recruited through nominations from the WSF network of individuals and organizations; announcements in select media; and through direct applications. (bit.ly/WorldSciScholars) This broad, multifaceted approach to identifying and recruiting a select group of applicants reflected the WSS program’s commitment to identifying World Science Scholars from diverse communities irrespective of their race, gender, ethnicity, socioeconomic class, and location. What further sets Joseph and these exceptional students apart is that they have not only demonstrated exceptional mathematical capability and promise, but also the kind of sustained motivation, curiosity and passion for solving broader problems that distinguish them from their talented peers; making them ideal candidates to nurture in preparation for supporting the greater good. Now, Joseph has been invited to join a vibrant community of mathematical geniuses, world-renowned professors, dedicated teaching fellows and a dynamic, dedicated team from around the world, all of whom are connected digitally through a robust social learning platform. The centerpiece of this initiative is a series of multi-platform filmed and live course experiences led by scientists at the forefront of their fields, including Brian Greene, Cumrun Vafa, Andrea Ghez, Loren Looger, and Sara Imari Walker. These luminary scientists will give the students a hands-on perspective of working at the highest levels of paradigm-challenging research. WSS student enrichment will also extend far beyond the students’ coursework, with opportunities via: the WSS digital platform, academic support teams, and social learning networks established for these groups, as well as learning and collaboration opportunities focused around the annual World Science Festival in New York City. This multi-disciplinary approach will introduce students to a wealth of scientific and cultural fields – well beyond traditional mathematics – designed to expand their personal horizons and inspire them to pursue opportunities to support the greater good. WSS courses will delve into a full range of exciting areas including the edge of string theory, current interplanetary exploration, as well as looming breakthroughs in neuroscience and molecular biology. Ultimately, the goal for WSS is to vastly expand each student's perspective by intensely exploring a broad range of new disciplines that extend far beyond pure mathematics: from neuroscience and physics to agriculture and finance. Participating students will also be able to build a professional, educational, and social network of talented individuals who can mentor them personally as well as advance their careers. They will deepen their knowledge by grappling with challenging mathematical ideas in new and unfamiliar contexts; and open new pathways along which their talents can flourish, facilitating their potential to focus on the common good and sparking scientific breakthroughs of the future. 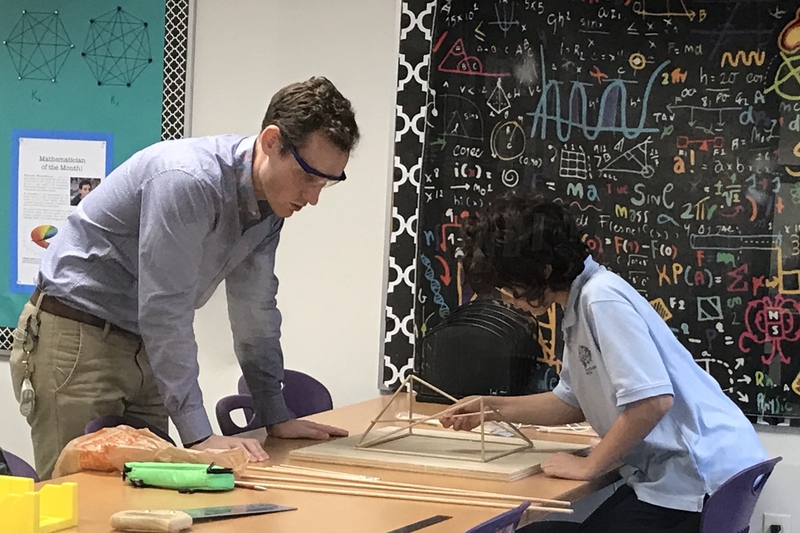 Tracy Day, World Science Festival Co-Founder and CEO explained, "We want to introduce some of the world's most talented math students to the possibilities of where their gifts can take them. We're looking to build a community that grows, is mutually supportive, and goes out and changes the world." The annual live, week-long Festivals, which launched in 2008, have collectively drawn more than 2.9 million visitors worldwide, with millions more viewing the programs online. The World Science Festival's original musical and theatrical works tour nationally and internationally. March 2016 marked the launch of World Science Festival Brisbane. World Science U is the Foundation's online education arm, where students and lifelong learners can dive more deeply through artfully produced digital education content presented by world-renowned scientists. Cofounded by Brian Greene and Tracy Day, the World Science Festival is a production of the World Science Foundation, a non-profit organization headquartered in New York City.